Click image for large map. 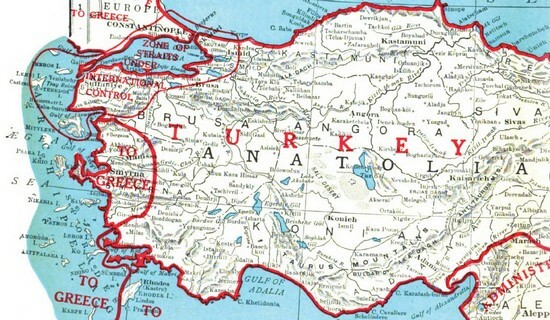 Turkey, 1920 (Shows Allied occupation of Istanbul, plans to give territory to Greece, Italy, in post-Ottoman Turkish-speaking territories plus Eastern Anatolia). 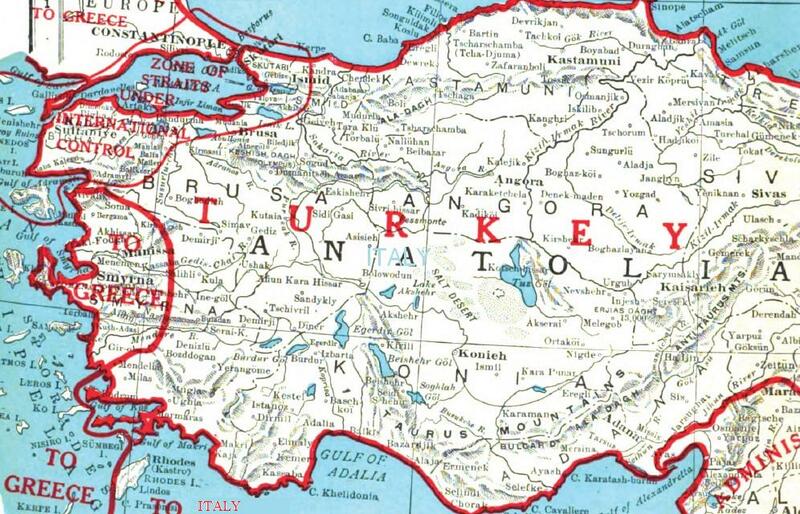 From: Atlas of Reconstruction for Schools (New York: Rand McNally, 1921).